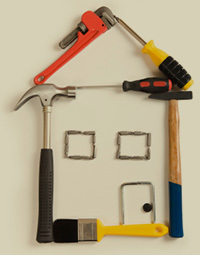 FIXER UPPERS AND HANDYMAN SPECIALS often represent a good way to get a great deal on a home. As long as you are aware that THESE HOMES NEED WORK, you can have an ideal home for much less than what comparable homes, already in top condition are selling for. If this is what your looking for, our automated service searches ALL NEW LISTINGS from ALL real estate companies, and EMAILS YOU A CURRENT LIST OF "FIXER UPPER" PROPERTIES THAT MATCH YOUR PERSONAL HOME BUYING CRITERIA in your price range. UPPER LISTINGS THAT MATCH YOUR CRITERIA, simply FILL OUT THE FORM and click on the SUBMIT button. Remember, this is an ABSOLUTELY FREE SERVICE, AND WITHOUT OBLIGATION.